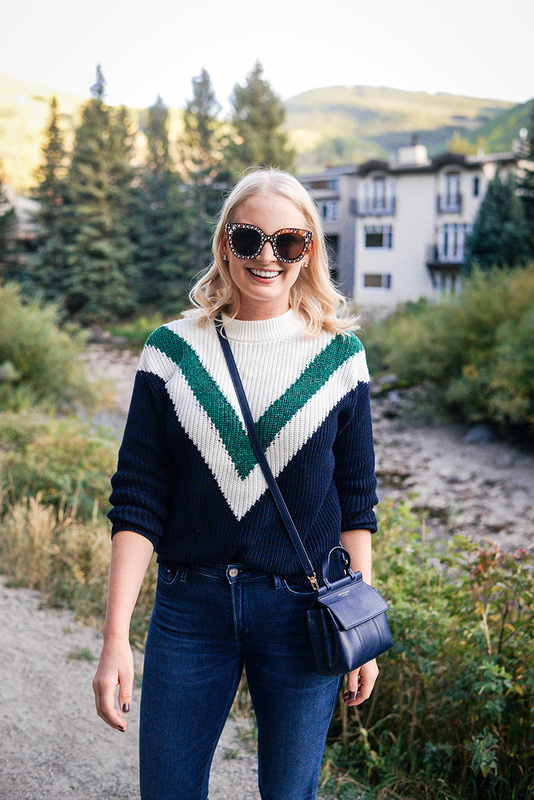 A little backstory on this sweater… I originally ordered it for my Switzerland trip! Naturally, it didn’t arrive on time (although I ordered it two weeks before – cue eye roll) – I didn’t stress however, knowing I had another trip with cool weather ahead. I’m actually glad it was late too, because Vail ended up being much cooler than Switzerland was! 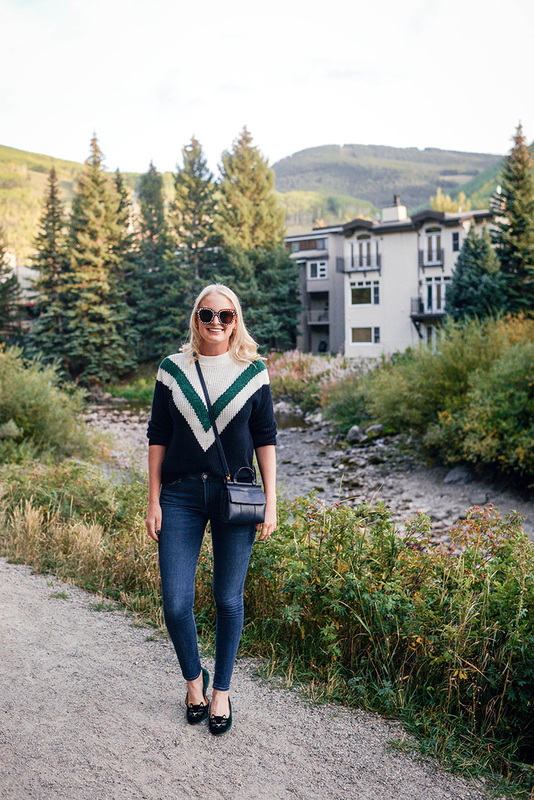 I wore sweaters every night in Vail and it was amazing! During the day it got pretty warm, but it cooled down into the 50’s as soon as the sun went down. In addition to the wonderful price point (under $50!! 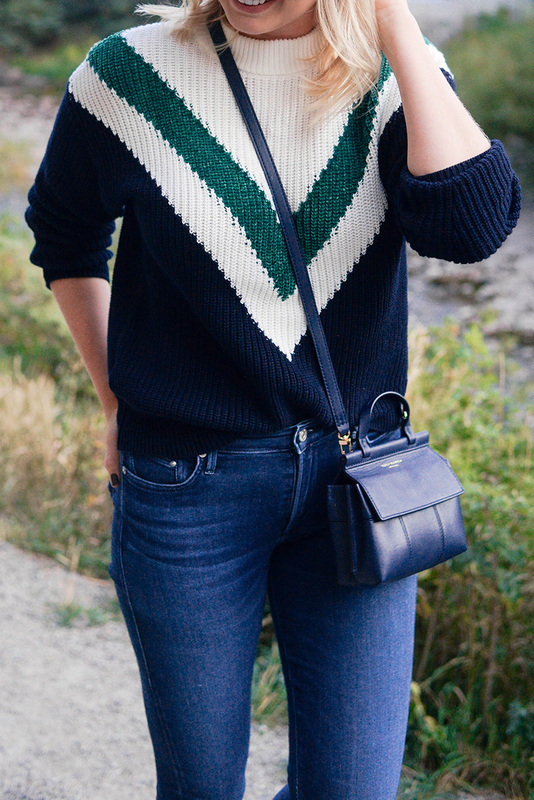 ), I love the deep forest green and navy color combo on this sweater. The sizing in MANGO sweaters runs big – I’m wearing an XS here and it still feels oversized. Definitely size down! Comfort wise, it’s soooo soft. Not itchy whatsoever, which you sometimes expect with cheaper sweaters like this. Highly recommend this style! It comes in a red + olive green combo too. 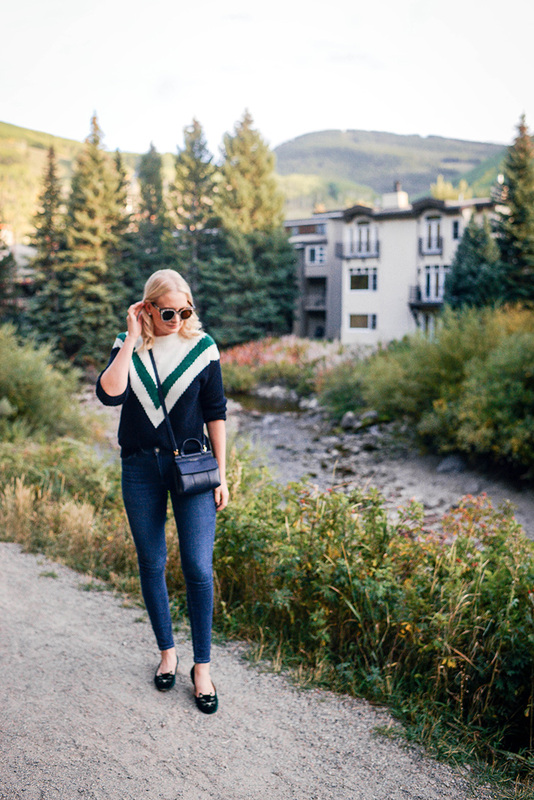 Shop more budget-friendly fall sweaters below! Looking for quality cashmere under $100? You need this. The gold button detail and gorgeous green hue make this sweater extra special. Speaking of green, don’t miss this thick under $100 turtleneck. Stripes are always a good idea. This brushed knit sweater looks sooo soft! Love the neckline too! I picked up this sweater in terracotta and it is the PERFECT fall brown! Love the mock neck style on this ribbed sweater. Only $69! Blouson sleeves elevate this simple crewneck sweater. Dying to get this sweater in the oatmeal color, but the rust color is the ideal burnt orange hue for any of you Longhorn fans out there! This faux wrap sweater looks like an amazing work-to-weekend style! 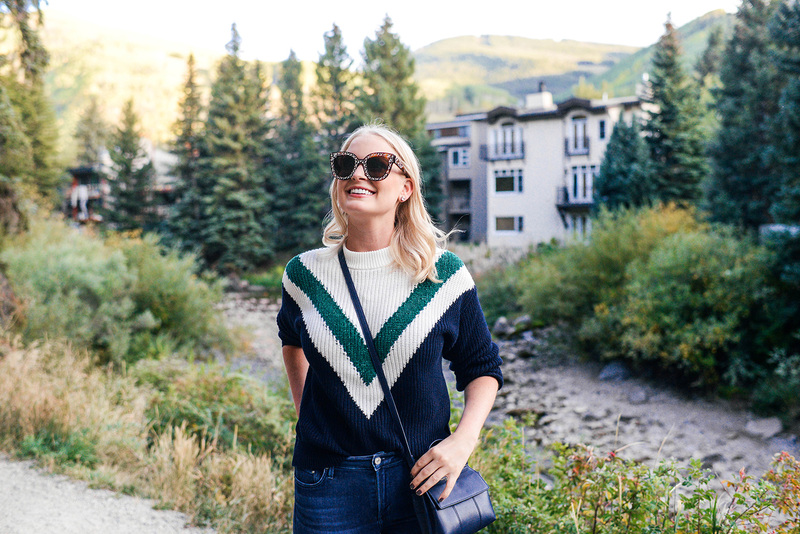 This sweater is a steal! Totally loving how it has a ‘Varsity’ look to it! 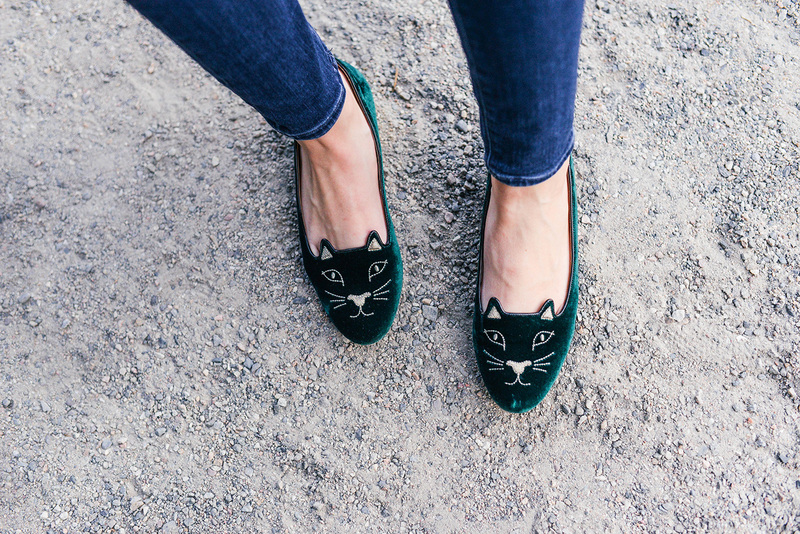 These shoes are so cute! And the green match with your sweater, perfect!